It has been a busy week. We have been working on our personal stories to get ready for the upcoming update. 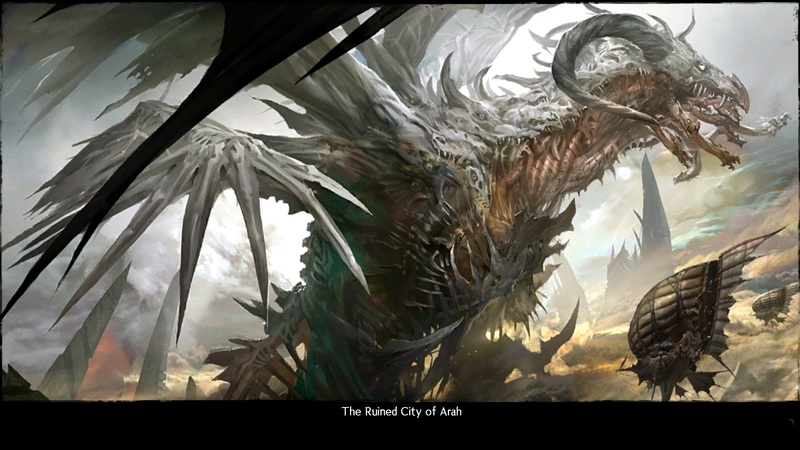 A future update will be changing the storylines One of the changes will be to the last segment of the original GW2 story – the Killing of the Elder Dragon Zhaitan. Briefly, the story segment will go from a 5 man dungeon, to a 1-5 man instance that can be solo’ed. I wanted to experience the original before the change. There are no plans to change the Explore mode of the dungeon. There is a photo album here of our fight, certainly not complete, but there are YouTube videos of the entire hour long encounter, so no need to be detailed. There are no real details or spoilers, except pictures of Zhaitan, which is pretty amazing. I’d like to thank my two friends for joining me. Neither had done it before, and despite my suggestion, they had not caught up so that they could not complete the story for themselves. But we can complete theirs at a later date. It was good to have friends along that I had worked with for several hours over several days before the fight. It is also good to see that during this fight, unlike other story episodes, everyone received reward chests at every stage. Also I’d like to thank the two folks who joined our party to lead us through it. Esp Dust Marsmane, who was very helpful for some noobs who needed just enough guidance along the way. The fight is not epically challenging, but it is Epic in every other way. After the completion of the dungeon, the next event is a celebration at Fort Trinity for rewards, rousing music, fireworks and obligatory credit crawl. And fun was had by all. After completion, you find that you can now access all the Asura gates in Fort Trinity to each of the Orders and back, regardless of your affiliation. 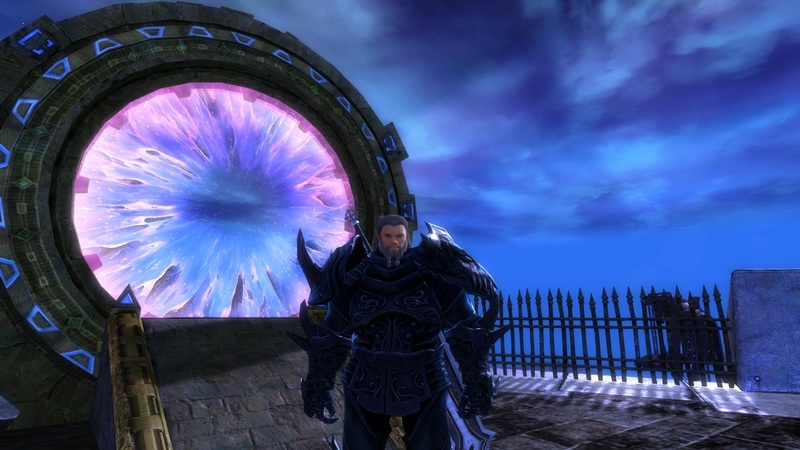 This is quite a coin / time saver between Lion’s Arch and the Arah since Lion’s Arch is only a gate from the Durmond Priory. Leave that bank Golem at home next time you go hunting Risen. 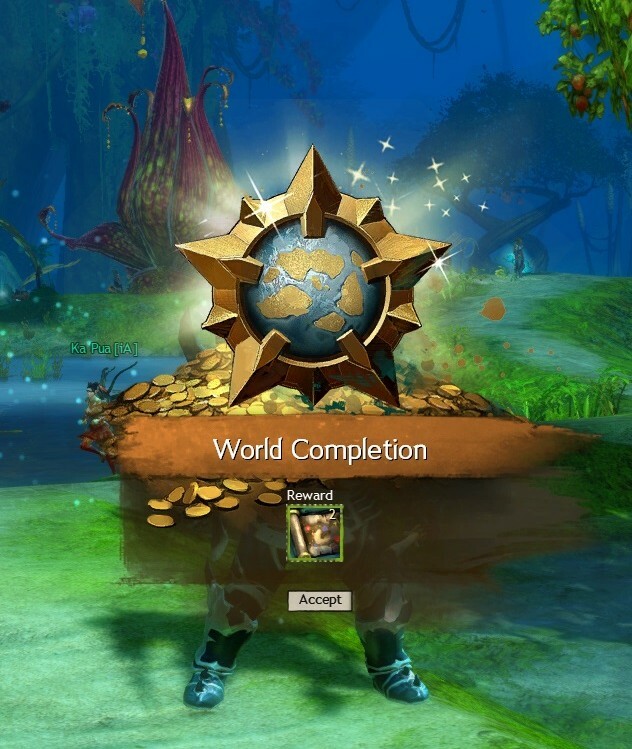 There is much to do in Tyria. I’ve begun working on my Spinal Blades back item. This is a series of incremental back items which require over 1000 Blade Shards and 500 Watchwork Sprockets. 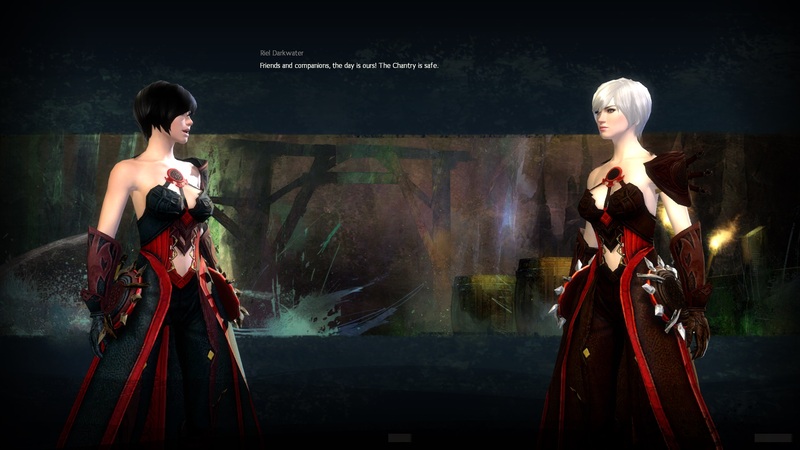 There are two active storylines, in addition to the Personal Story in GW2. Tower of Nightmares A toxic tower appears with powerful plant creatures that attack the world. Clockwork Chaos Scarlet Briar attacks Kryta and eventually destroys much of Lion’s Arch, the capital city of Tyria. In these events, the world was changed permanently, but there is no going back to experience the content. The new content has added content which remains and adds to the content of the game as well as changing it. It may be that Arena Net has changed their minds about continually changing the world but then removing the content. I for one would like to go back and experience the previous content. I missed the entirety of the Clockwork content since none of my characters were at a suitable level. 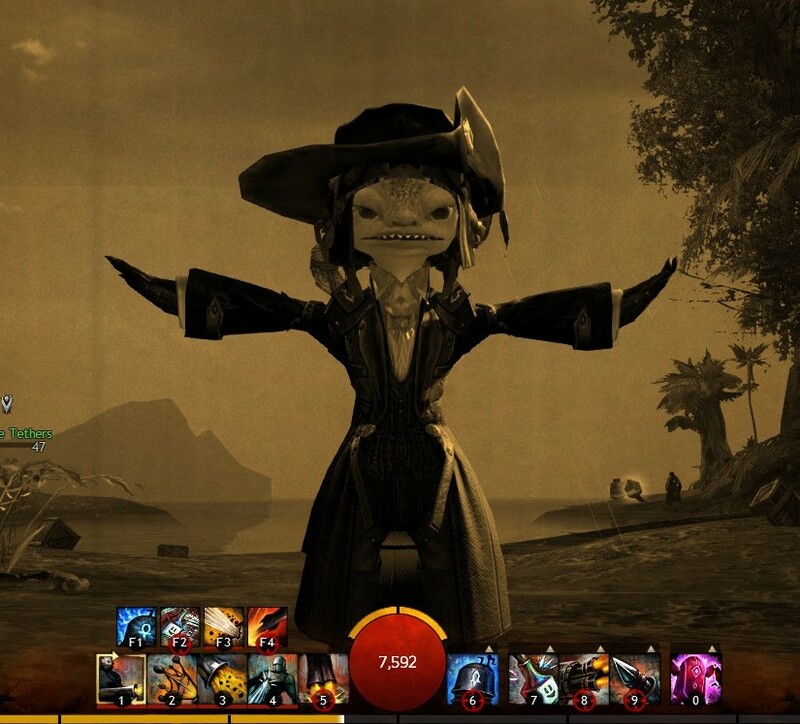 I didn’t go back and dig out old photos of my Asura Engineer, but I do have this April Fool picture – where they changed the pose and graphics style for a day. As you can see, he was pretty ugly. Looking more like a toad than a cute precocious scientist. As a reward from a Story I got a “Total Makeover” kit from a Black Lion chest. This has allowed me to update his look to something that I would have originally chosen if it had been available. 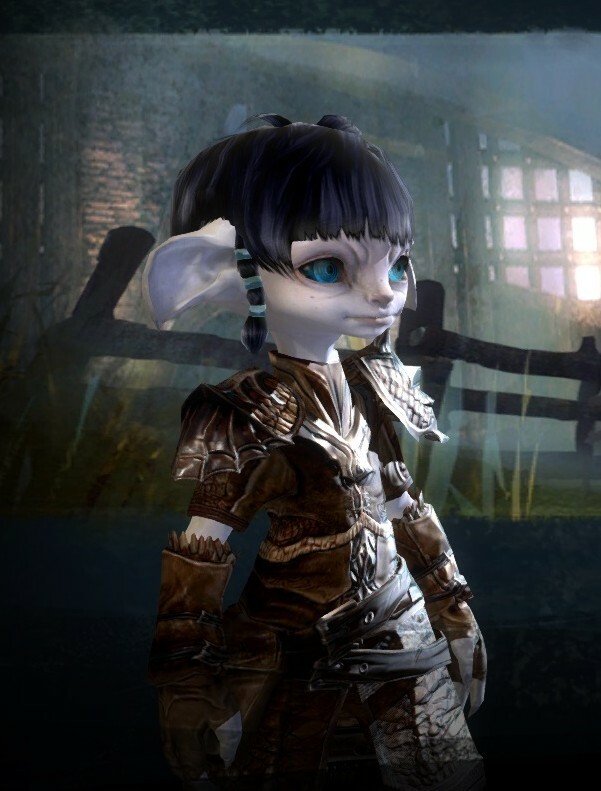 There have been a few changes to the Asura option for looks, and some additional looks are only available when you use the Total Makeover kit. 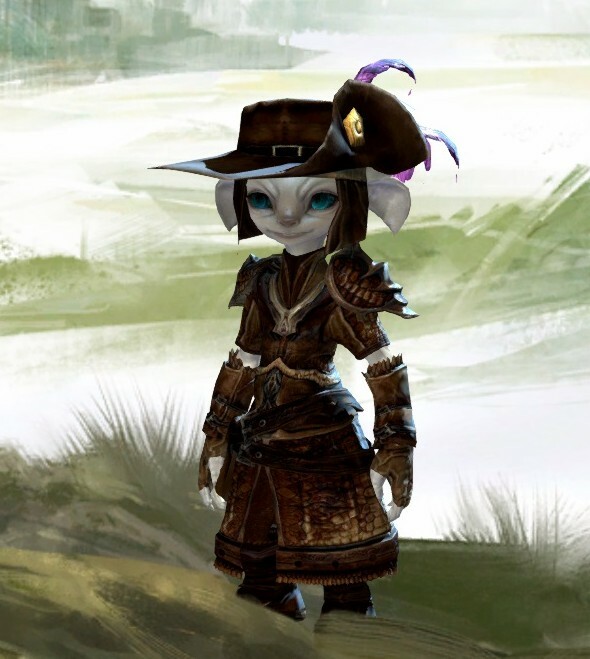 My thief wanted to look like Riel Darkwater, the Master of Whispers. Here’s the result using Whispers Order Armor. Riel Darkwater on the Left. Thief on Right. The only difference is that Riel is wearing Black Dye and the Thief is wearing Midnight Red. Black Dye costs about 26G on the Trading Post, so someday I’ll get it. The goal wasn’t to completely copy the look, but only the costume.